Where can one find this study to read? Per your statement, it seems that it includes pet retailers and breeders that sell directly to the public; what about the main point here regarding from where the retailers obtain their supply??? Does your report support inspection whether supply is purchased from in or out of state puppy and kitten mills? 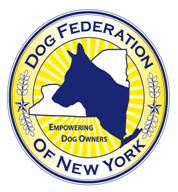 On-site inspections are necessary and wonderful, however, the main reason for wanting to close pet stores, or rather increase their advertising of shelter dogs, is to target and eliminate the mills, not put legitimate, responsible breeders out of business with "overly burdensome" regulations. Our survey of inspection reports for pet stores included the lawful, small and -- per the results of our study -- usually responsibly and humanely operated businesses that would be closed forever by prohibitions of the retail sale of dogs. Would you be surprised to learn that current regulations for dog and cat breeders in Missouri--which was identified during a recent public hearing in Suffolk County as a likely source of "puppy mill" dogs--are probably the most stringent and demanding in the country? Are breeders able to comply with such regulations not "legitimate" and "responsible" ? Why not? Where is the evidence that "kitten mills" even exist, as one commentator implie?. Anyone who knows even a moderate amount about cats realizes that cats are enormously prone to developing respiratory infections and other stress-related illnesses when kept in kennel-like conditions in large numbers. Such cats rarely survive let alone produce kittens. The allegations that kitten mills exist at all are supported by nothing more than fabrications of extremists without a scintilla of real evidence. Most pure bred kittens come from responsible breeders, who are also a group that makes significant donations to advance research in feline health (which benefits all cats) and who, relative to the general population, contribute significantly to feral cat care. Some breeds of pure bred cats, such as Havana Browns or American Bobtails, would probably disappear if not for breeders. It is perplexing that animal rights extremists who (properly, in my opinion) advocate for the protection of wild cats so that they do not become extinct are so uninformed or unconcerned about the possible disappearance of many beautiful breeds of domestic cats - a disappearance that is being hastened by pet limit laws, breeding restrictions, and other efforts of animal rights extremists to over regulate breeders. By the way, all of my own cats are rescues and I am not a breeder. However, feel free to Google "kitten mills" for a better understanding of their existence. Those kittens get just as sick after retail purchase as many puppy mill dogs.